Modern technology has revolutionized every aspect of our life. And even hence, the part where most change, growth and development can be seen is the field of entertainment. From VCRs, we have now come a long way in the field of audio-visual entertainment. Long gone are the days of cassette players and magnetic video tapes. With the advancement in multimedia technologies, we now have the best ways to enjoy the audio and video media. There are DVDs and now we even have HD videos in Blu-ray discs. These videos have a very high resolution and surround sound audio. Now we even have videos and movies with upto 4k resolution. Hence, to view such high resolution videos, we need heavy resources. Along with great hardware that performs well, we also need good software programs to run them. Thus, most people look for a good Blu-ray player. So today, here we have researched and tested some Blu-ray players and found the best one for you. Leawo Blu-ray player for windows and Mac. Check our review of the free player. Features Of Leawo Blu-ray Player. 1. Lossless Image Quality Upto 4K. 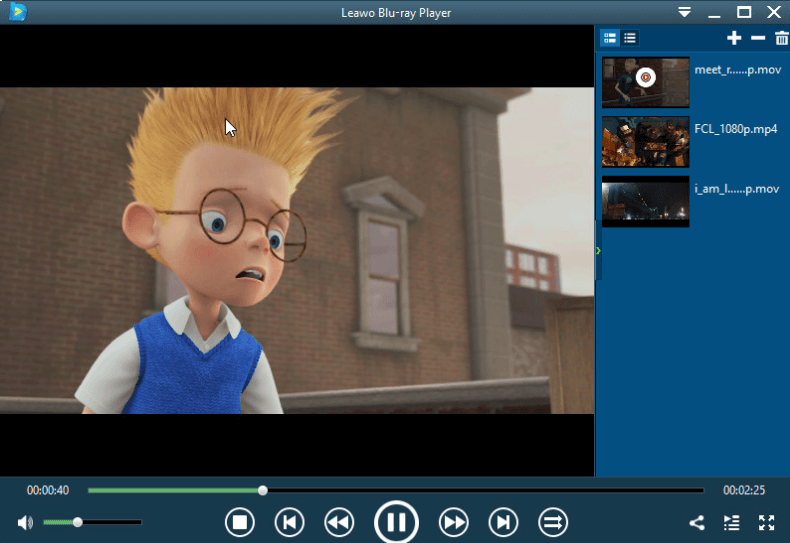 Leawo Blu-ray player is one of the best free media player software applications available for both Windows and Mac. It has the solutions to all your entertainment needs in a single place. The Leawo Blu-ray player works as a Blu-ray disc player, DVD disc player, CD player (video-CD), free HD video player (free 4K video player), free ISO file player, and free audio player (free music player). 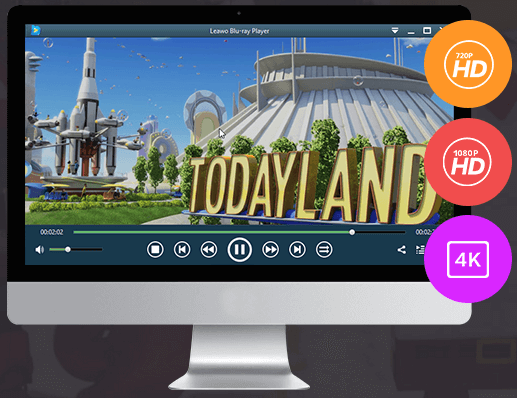 It supports all kinds of discs as well as most video formats including iso files. The player is fully supportive of 4K video in MKV, MP4 and TS formats, 1080P videos in HD MP4, HD MKV, HD MOV, etc., 720P videos in MP4, AVI, MKV, and other formats, be it camcorder reordered footage, downloaded online video, or streamed video. This free Blu-ray player is capable of delivering 4k video without any kind of loss in the quality. It is compatible with any 4K display and video formats. It also supports other HD resolutions like 1080p and 720p. Leawo Blu-ray player supports very advanced audio decoding technologies like Dolby, DTS, True HD and many more. All you need is the right kind of hardware set up to get a home theatre experience. The Leawo Blu-ray player provides full navigation support to play the Blu-ray, DVD as well as audio and video files. It also has some of the best playback controls as well as most required operations. These include full screen, playback, playlists, forward, backwards and much more. With a virtual remote built right into the Leawo Blu-ray player, it becomes very easy to select what you want to play as well as control the playback. This feature is of great use if you are using a laptop to watch movies. The Leawo Blu-ray player shows battery status via tha volume preset during the playback so you can keep a check on the battery of the device while enjoying your favorite video. Inspite of being completely free, the Leawo Blu-ray player offers quite some customisable options. You can change the skin, set custom background and Colors. There is also an option to change the language of the player. Blu-Ray : BD-R 1.1/BD-RE 2.1, BD-R 2.0/BD-RE 3.0, BDROM 2.2, BD-J, Blu-ray disc, Blu-ray ISO File. DVD : DVD-Video, DVD-VR, DVD+VR, DVD disc, IFO file, DVD ISO File. 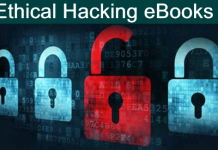 Physical Media : Blu-ray Disc (unencrypted and encrypted), DVDs, DVD-Video (including PAL DVD video), Video CDs (including VCD/SVCD/XVCD), USB Flash Drives, and local Hard Disk Drives. Network : UPnP, NFS, SMB, Zeroconf. 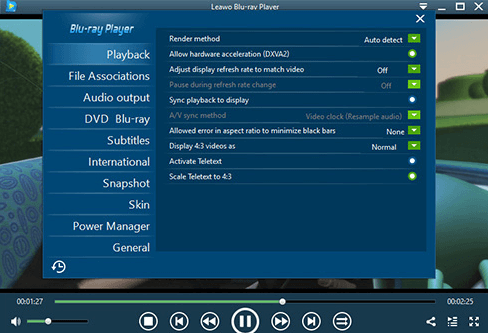 The Leawo Blu-ray player is completely free to download and use. It is available for both Mac as well as Windows PC. Click the link below to download for free. In conclusion, we would like to add the we believe the Leawo Blu-ray review is one of the best video players keeping in mind that it’s completely free. Hence, we recommend it and you must give it a try. Share it with your friends as well.